I haven’t watched NXT in a few months, so I decided to check out last week’s episode. Many of the wrestlers that people identify as NXT stars have moved up to the main WWE roster over the past 12 months. There are several new faces on the scene such as the high-flying sensation Ricochet. It was interesting to see how they are positioned on the card. 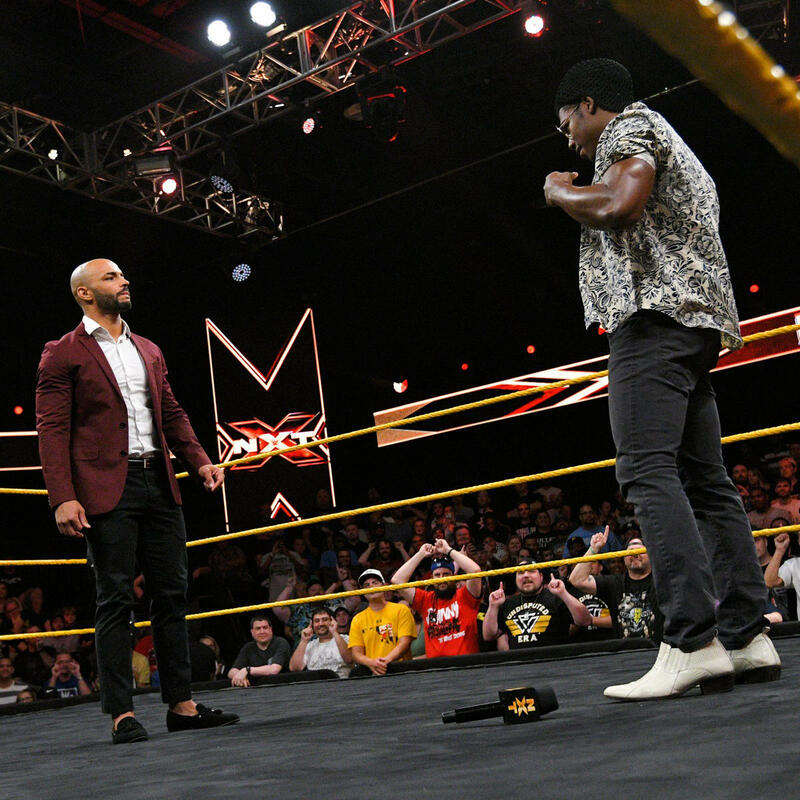 Ricochet and Velveteen Dream kicked off the show with a face-to-face encounter in the ring. Ricochet stated he plans on taking over the brand while Dream insisted Ricochet should go to the back of the line. Things ended with Dream looking to leave, went for the fake out charge at Ricochet, only to be halted at the pass. There were rumors of Velveteen Dream being called up to the main roster after WrestleMania; however, WWE changed their mind. Dream is a highly entertaining performer, and it’s easy to understand the allure of bringing a promising act to primetime. Still, he hasn’t been wrestling for that long. Giving Dream more time to develop is the right play instead of squandering their investment before it has time to mature. Ricochet is one of the best workers in the business, but his work on the microphone leaves a lot to be desired. He came off as a heel during his promo, saying his goal has always been to get everyone talking about him. The wrestling industry is littered with great in-ring mechanics with no personality. NXT is a developmental system and hopefully the powers that be can get “The One and Only” to come out of his shell. EC3 defeated Raul Mendoza in his NXT television début. Mendoza exhibited a lot of speed early on until EC3 turned him inside out with a clothesline and delivered a TKO for the win. EC3 is ready for the main roster and is just biding his time in NXT until creative can come up with something for him. He has everything WWE wants in a superstar and could be a highly effective heel if he is positioned properly. I’m not too familiar with Raul Mendoza, but I liked what little I saw since the match was a showcase for EC3. Mendoza is a wrestler from Mexico, which means he’s going to need more time to develop and learn the WWE way because Lucha Libre is almost a completely different style of wrestling. Some luchadores can make it in the U.S. while others aren’t so lucky (See Sin Cara). I’m rooting for Mendoza to find his place in WWE. A video from last week showed Danny Burch and Oney Lorcan confronting Pete Dunne and tell him just because they helped him; it doesn’t mean they like him. Lorcan calls Dunne a piece of garbage but concedes they all have a problem with the Undisputed Era. Lorcan and Burch call for an alliance, Dunne shakes his head yes in agreement and walked off. Dunne, Lorcan & Burch vs. the Undisputed Era is announced for next week. Pete Dunne is one of the best wrestlers in WWE, and they should bring him and the U.K. title to the main roster already. Lorcan is a top-notch worker and Burch recently resigned with the company after making a name for himself (Martin Stone) on the independent scene in a short amount of time. I’ve always been a fan of Burch and with this feud, he’ll have a chance to shine on the biggest stage of his career. Dakota Kai defeated Vanessa Borne after a running knee followed by a jumping, flipping backstabber that I can’t accurately describe. Trust me, it was awesome. Dakota Kai has a Bayley thing going on minus the streamers and hugs. The storyline with her being afraid of Shayna Baszler is different and intriguing. Usually, portraying someone as being fearful of another wrestler is a no-no in booking 101. Nikki Cross is shown manically laughing at the turmoil. Cross vs. Baszler is interesting from a character perspective. Baszler is the MMA badass and Cross is crazy and is not going to intimidated, which will be new for Baszler to encounter. War Raiders defeated Heavy Machinery in a short but effective match that didn’t garner a lot of reaction from the crowd except for the key spots. There were a lot of big heavy blows along with Rowe hitting a suicide dive and Otis Dozovic hurling Hanson with an exploder suplex. WWE is having fun playing with their new toys, but I hope they don’t forget about Heavy Machinery as they are hard workers and over with the NXT crowd. Street Profits were shown working out at an outdoor basketball court. They bragged about their win over TM61 and staked their claim for the NXT Tag Team Titles. 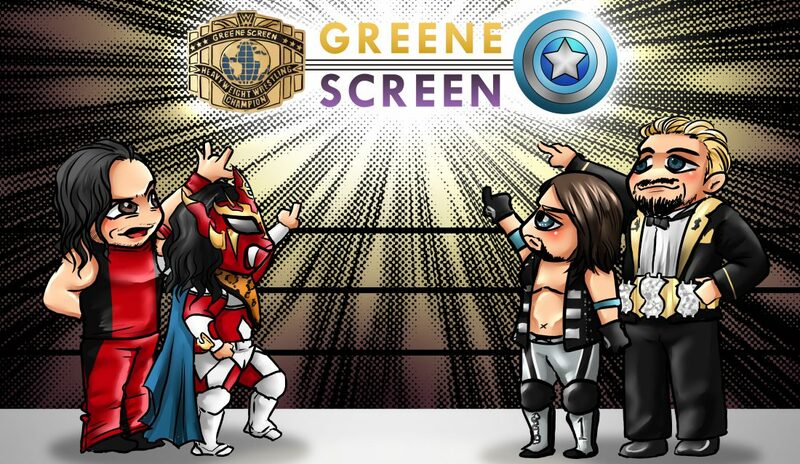 Personally, I find the Street Profits corny. We’ve seen this type of act hundreds of times before involving people of color and it only gets over to a marginal degree at best. Please, give me something different. Tommaso Ciampa defeated Kassius Ohno in a fun match that highlighted what both wrestlers bring to the table. Ohno is a great worker but I don’t see him making it to the main roster. Ciampa is a fantastic heel in every sense of the word. He’s that ridiculously jacked high school bully that you really want to punch but you can’t because you know he will kill you. Ciampa/Gargano are two of the best in the business today and continue to help make NXT exciting. 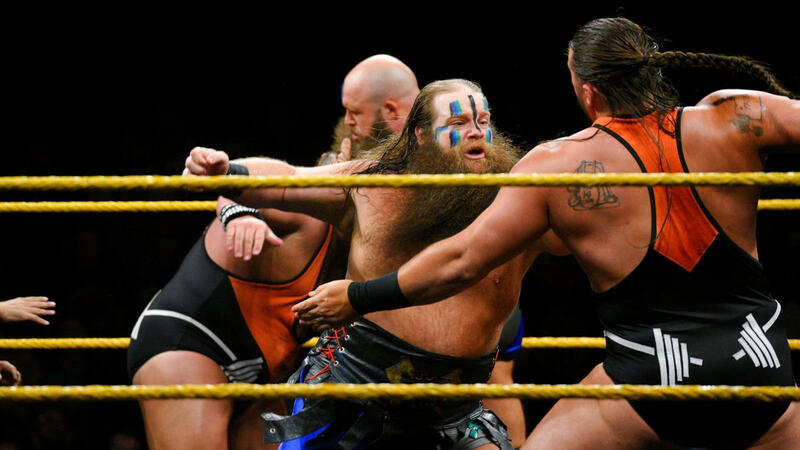 In closing, NXT has lost a little bit of its luster for two big reasons. 1.) NXT is now the norm as opposed to being new and fresh. 2.) Wrestlers who thrive in NXT are often squandered once they’re promoted to the WWE main roster, which makes it difficult to get excited about a talent’s trajectory when the odds are not in their favor. History tells us that Ricochet is probably destined for the underwhelming 205 Live program while Velveteen Dream will most likely be a mid-card comedy act on either Raw or SmackDown. Despite these problems, NXT puts on a fun show with great matches. I’m excited to see future episodes that will lead to TakeOver: Chicago on June 16. ‹ Will Thanos Deliver in Infinity War?